I don’t officially vote in any of the FCS Top 25 polls, but I do share who I think deserves to be in the Top 25, and for the second straight week – hold on to your hats – I think James Madison was, and still is, the No. 1 team in the nation. Truth be known, the top layer of FCS teams did little to move themselves much. 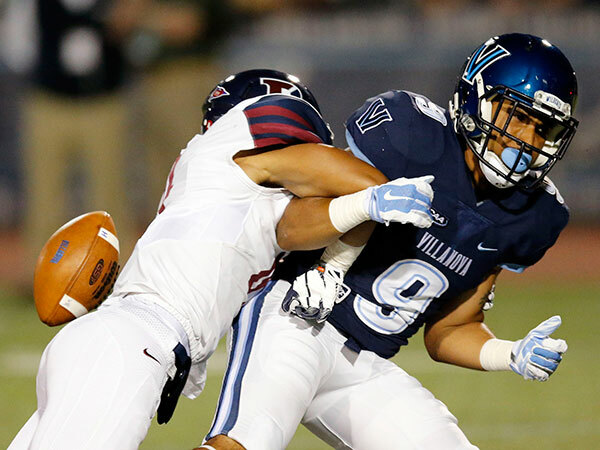 When teams like New Hampshire were beating FBS teams and teams like Villanova were taking FCS teams to the wire, much of the Top 10 proved they were Top 10 worthy teams. “Back to Normal” seems to be the theme of this week’s Top 25, with my top 9 unchanged from last week. So this is the week that North Dakota State falls. They fell in a thrilling defensive battle at home to South Dakota State in the game for the “Dakota Marker”. 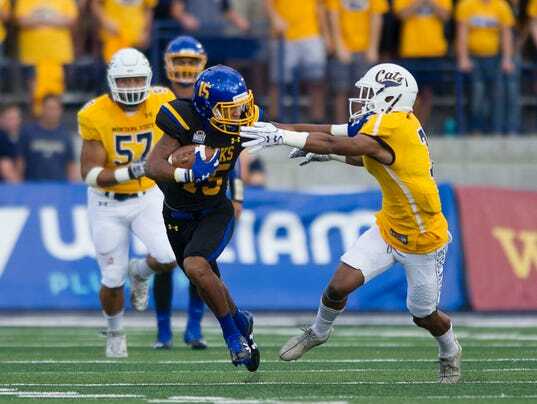 It was a great game, filled with drama and showed that the Jackrabbits are worthy of everyone’s attention this week. 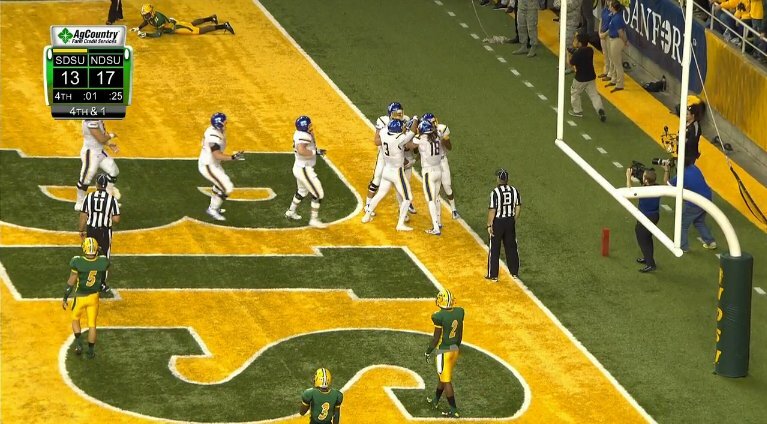 In fact, South Dakota State’s effective, time-consuming drive was in many ways pulling from North Dakota State’s own trademark last-second comebacks, pulling together a drive for the ages, daring them to stop them yet consistently converting 3rd and 4th downs to set up the chance to win. But then, therein lies the tricky part. Where to rank the Bison, and where to rank the Jackrabbits? Let’s see, are there any other teams I can curse into losses this week? Last time I was here, I was extolling the virtues of William and Mary and Stony Brook in this space. This week? Um, not so much. 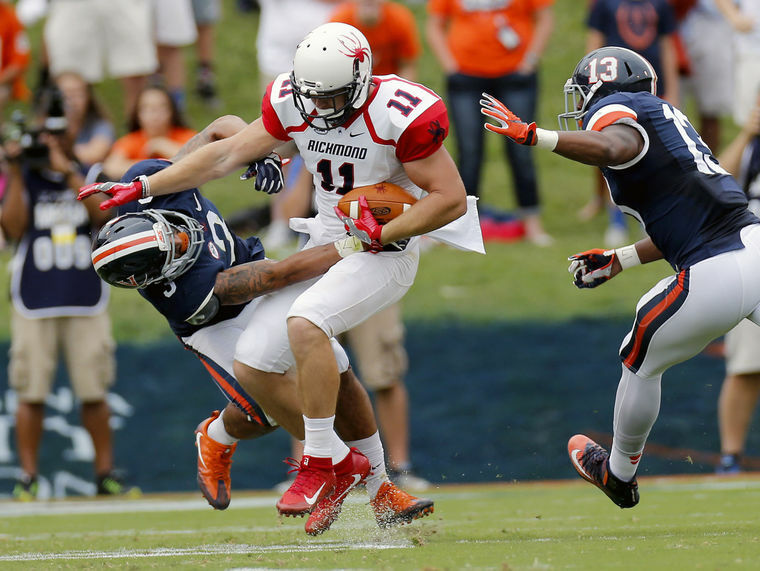 You didn’t ask for them – nobody is – but here’s my pick for this week’s FCS Top 25. This week was a huge one in the Missouri Valley conference, as two battles between ranked teams took place. While North Dakota State beating South Dakota State might not have been surprising, the relative ease of which the Bison dispatched the Jackrabbits was, a 28-7 game that really wasn’t all that close. And Illinois State, in a true “show-me” game, at least to me, really did show that they are as advertised, beating Northern Iowa 21-13. While controversial RB Marshaun Coprich did play for the Redbirds, his 143 yards and 2 touchdowns were instrumental in their key conference win. These two wins cleared a logjam in my Top 10 and established two clear frontrunners in the Missouri Valley race. 1. I usually don’t demote a team completely out of the Top 25 if they’re a Top 5 team and they lose. 2. I usually don’t demote a team from the No. 1 slot if they win their game. But that’s exactly what I did, after I looked at my poll with a fresh new set of eyes after some of the more interesting outcomes from the weekend. I’d been meaning to demote Villanova for some time, not only due to their sort-of lackluster performance over the beginning of the season, but for their seemingly lackluster play going back to last season when Sam Houston upset them in the FCS Round of 8 last season. I was looking for a dominant performance against the worst team on their schedule, Penn, and instead the Quakers upset the Wildcats 24-13. You could argue that they were getting things done with defense. You could have said that with the loss of their Walter Payton Award-nominated quaterback, QB John Robertson, they’d suffer. But the team that lost this past Thursday, simply, wasn’t a Top 25 team in my opinion. The confluence of all these factors had me dip them out of the Top 25 entirely. The picture tells the story of the game pretty well, as the Panthers in the UNI Dome took apart McNeese, 41-6. In my poll last week, both were Top 10 teams. Not this week, though I didn’t drop the Cowboys too far.